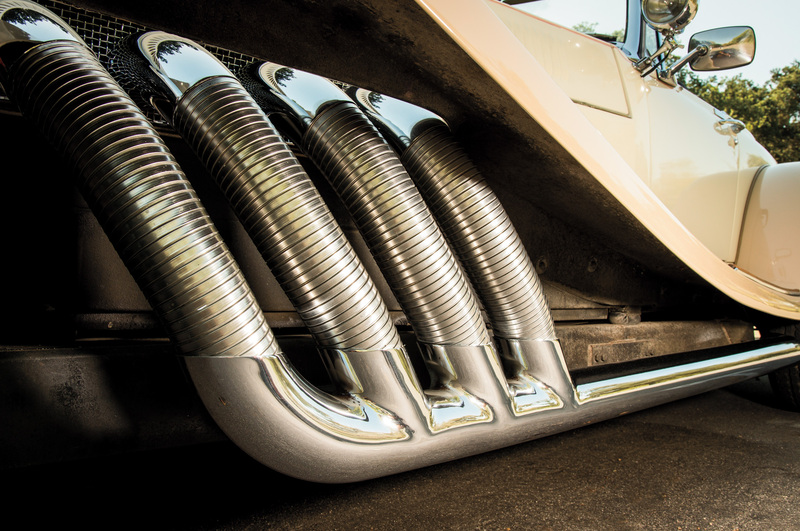 During lunch one day in 1976, 23-year-old Steve Kouracos was sitting outside Sam Foose’s Project Design custom body shop in Southern California eating a sandwich when a long roadster pulled up to the curb. 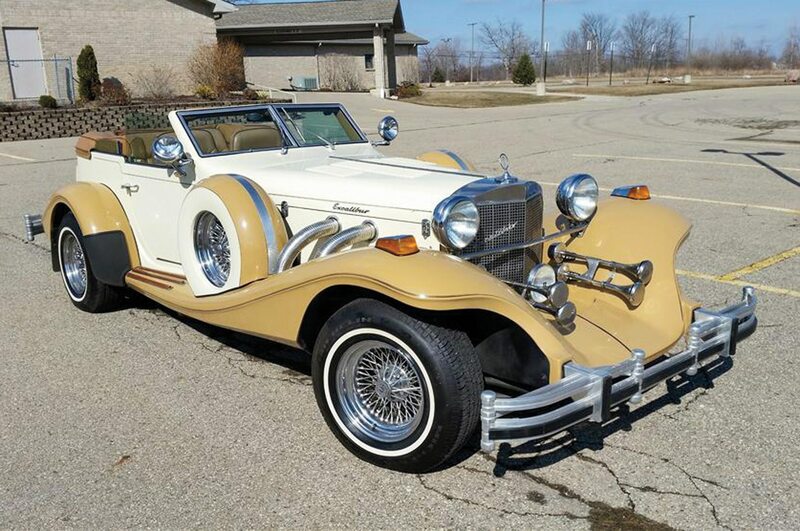 It had a big grille and flowing fenders like an old Duesenberg, but it was new and in desperate need of a paintjob. “Are you the painter?” asked Alain Clénet, the man behind the wheel. Kouracos had worked at the shop for about four years as a painter’s assistant but had never been allowed to paint bodywork. Foose, auto designer Chip’s father, was the man with the spray gun; Kouracos sanded and masked. He stopped chewing his sandwich and said, yes, he was indeed the painter. “Would you come to my home and help me paint this car?” Clénet said in a heavy French accent, leaving his name and address. 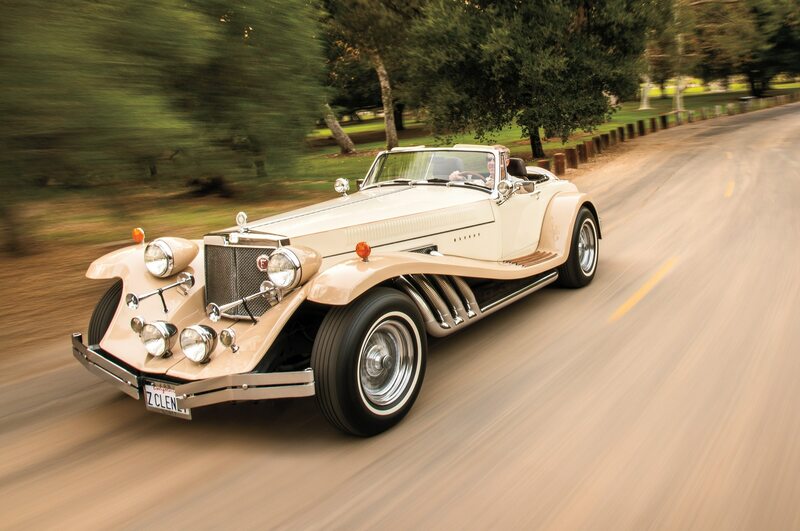 It proved an auspicious moment in the history of neoclassic automobiles. The Lincolns and Cadillacs monopolizing the luxury market lacked the chrome-plated Zenith wire wheels, exposed exhaust pipes, large bugling horns, running boards, and Waterford crystal ashtrays that attracted extroverts, showmen, and attention-seekers who wore gold chains and chunky rings and wanted to see a car’s spare tire, not hide it away. The Frenchman was addressing these short-comings by launching a car company, Clénet Coachworks, and building grand-iose showstoppers his way. Kouracos says 15 guys built the first 10 cars. With no paint booth, he painted parts beneath a fabric canopy or the wings of a Super Guppy cargo plane. Clénet, then little more than 30 years old, had impeccable timing. As the government started hanging ugly 5-mph bumpers on cars, Clénet, trained in Paris as a designer and seasoned in Detroit, sketched his roadster on a napkin, shamelessly including every piece of fabulous gingerbread and chrome from the ’30s. 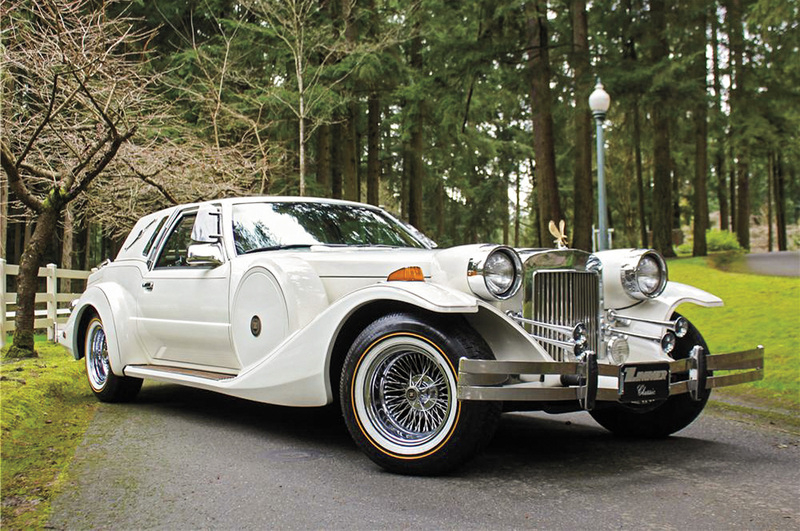 He would go down the same avenue neoclassic pioneer Excalibur Motors did in 1964, but with an even grander creation incorporating a largely metal body, hand-laid fiberglass fenders, and an original radiator shell. Kouracos recalls going to paint the prototype he’d first seen during his lunch break and finding the body scratched by coarse 36-grit sandpaper. “It was horrible,” he says. 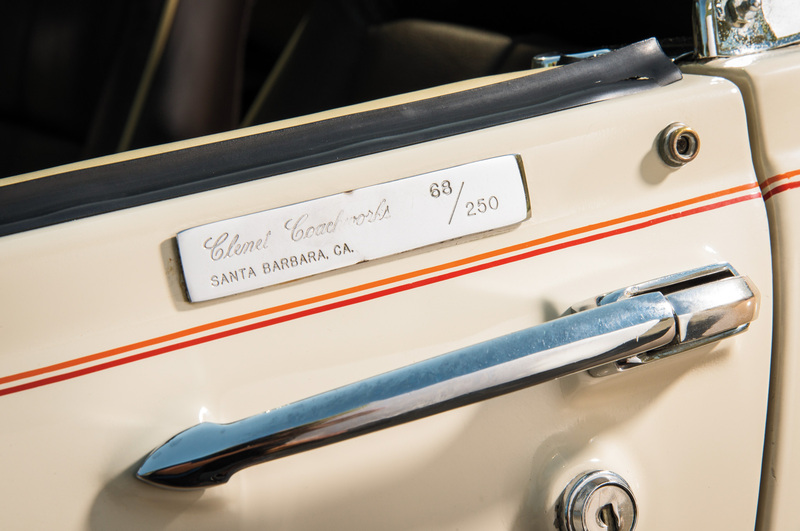 He produced a “Class A” white-and-tan paint job, and Clénet exhibited the car at the 1976 Los Angeles auto show. “It went over like gangbusters,” he says. 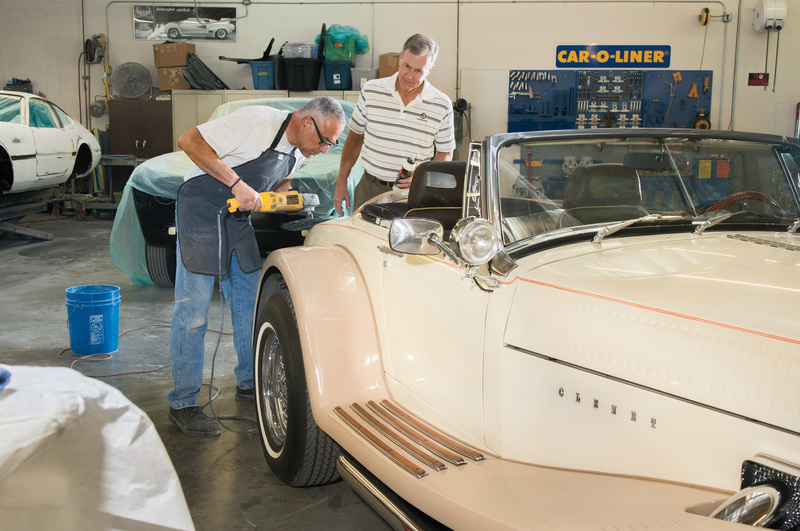 With orders in hand and financial backing from investment partners, Clénet Coachworks commenced series production in a hangar at the Santa Barbara Airport–transformed from a napkin sketch to a real car company in hardly more than a year. Clénet’s gambit was to let others do the engineering while his team concentrated on assembly and finishes. 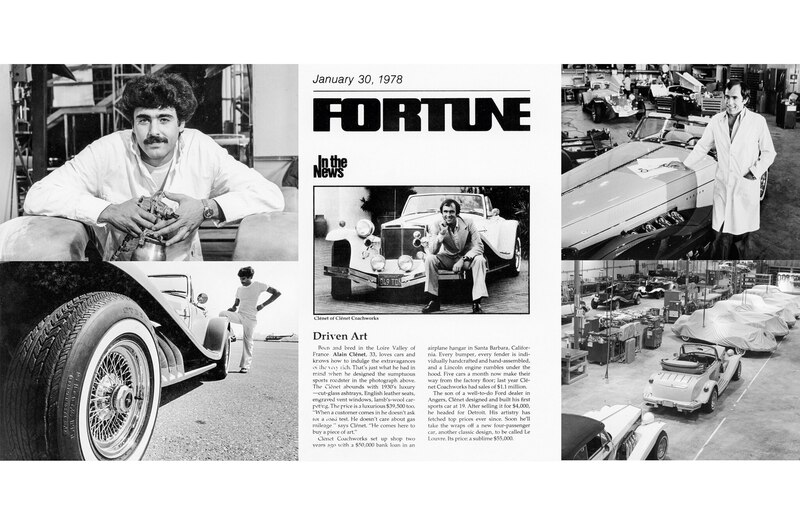 Right around the introduction of the Clénet Series I, Telnack returned to Dearborn from a European assignment to find his boss, Gene Bordinat, driving one around Detroit. Bordinat belonged to what Telnack calls “a special breed.” He gloried in the unsubtle and drove around with his left arm hanging out the car to show off his prized wristwatch. Clénet’s creation got the attention of the press, with coverage extending even to People magazine. Clénets appeared in TV shows “Dynasty” and “Dallas” and ended up in the driveways of singers Rod Stewart and Wayne Newton, boxer Ken Norton, and actress Farrah Fawcett. Of those who have built their own cars—E.L. 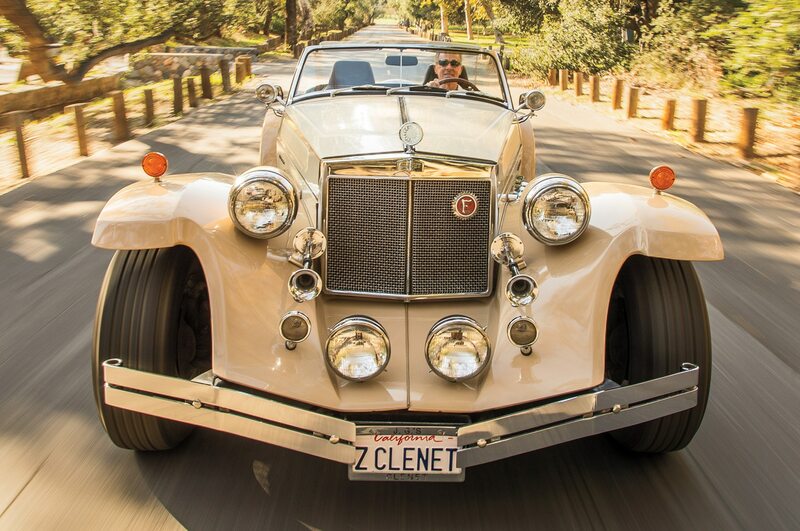 Cord, Preston Tucker, John DeLorean, Henrik Fisker—none ever thought of anything like Clénet’s money-saving twist on coachwork. 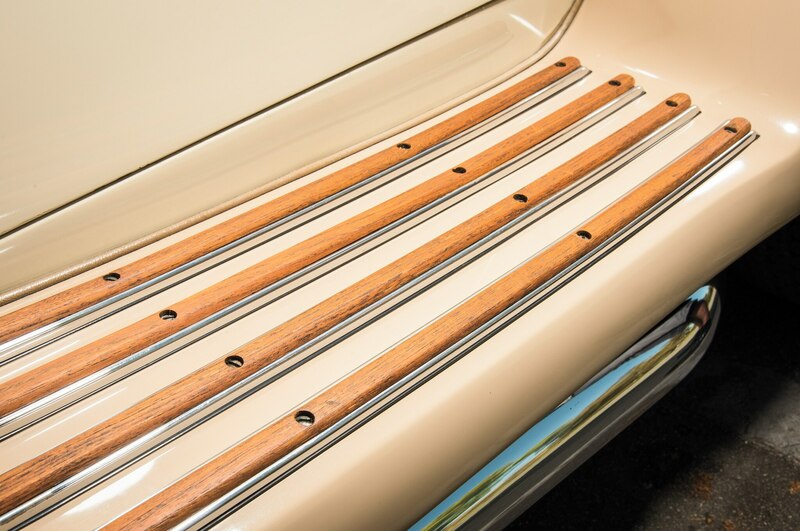 The company bought new Lincoln Continental Mark V coupes (list price: $11,396) from a local dealership and removed each body before sectioning off and strengthening the frame with cutting and welding torches. “He kind of went overboard on the strengthening part, but that was just the way he was,” Kouracos says. Kouracos says 15 guys built the first 10 cars. With no paint booth in the hangar, he painted parts beneath either a fabric canopy or the wings of a Super Guppy cargo plane. Output rose to nine or 10 cars per month, the staff grew to about 75 or 80 employees, and “we finally got enough money to set up a nice spray booth.” Kouracos would finish the acrylic enamel coatings with very fine 1,000-grit sandpaper, removing the dapple left by the fast-drying paint, so the cars glistened spectacularly. Lee Iacocca, who was Chrysler CEO at the time, flew in with his entourage on the automaker’s jet, ordered two cars, and specified a slower drying lustrous lacquer instead. The Clénet Series I “was a handmade, coachbuilt car,” Kouracos said. 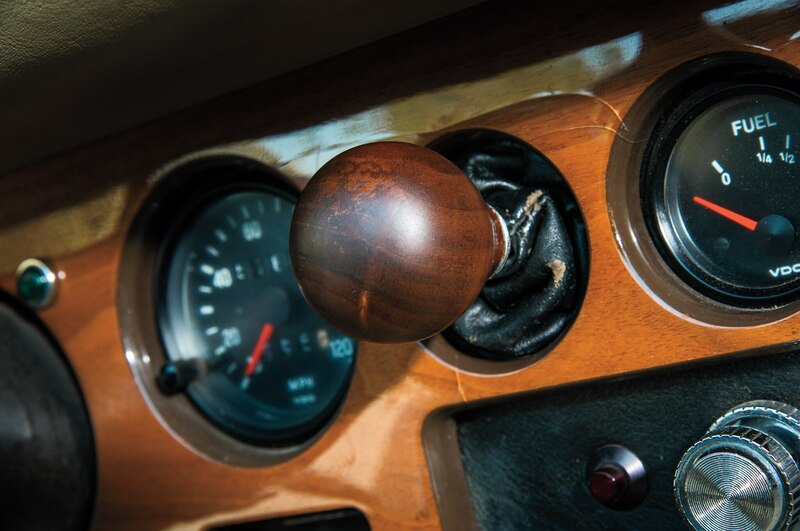 It looked like a classic, but the available 460-, 400-, and 351-cubic-inch V-8 engines all made for effortless cruising, with the driver controlling a three-speed automatic transmission via a chrome shaft topped with a teak knob mounted inside a leathery, air-conditioned cockpit. The price started at a shockingly high $27,500 and went way up from there. Many welcomed the company’s demise. 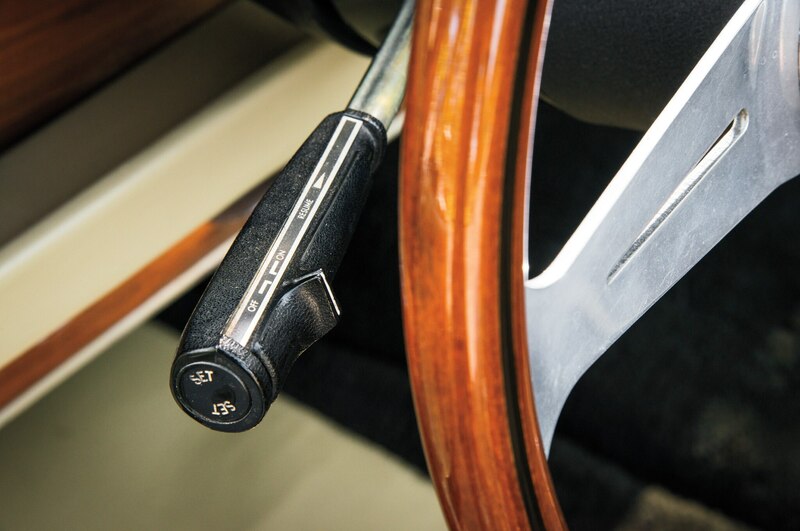 Sports-car enthusiasts gnawed their key fobs, and the chauffeured gentry spit up their Moët & Chandon when Clénet said, “Take a Porsche 928 and a Rolls-Royce. Put them in a bag and shake it up. What you get is our car.” Even legendary auto designer Gordon Buehrig (whose Duesenbergs were being copied) found neoclassics “too garish.” But some, like Clénet, saw neoclassics as beautiful and pure, and that sentiment continues today. 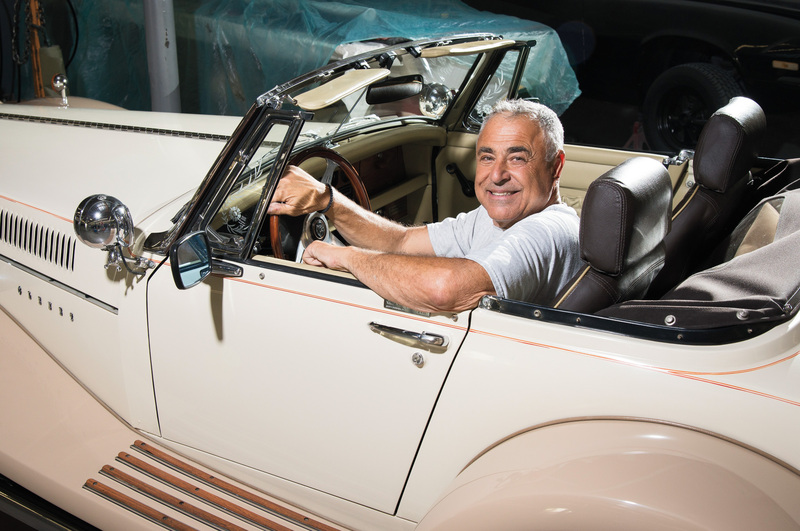 In 2012, the Antique Automobile Club of America created a class for second-generation collector vehicles, making Excaliburs, Clénets, and Zimmers eligible for awards. Kouracos has recently consented to undertake the restoration of a Clénet Series II, and values of similar cars have held steady in private sales and at auctions. 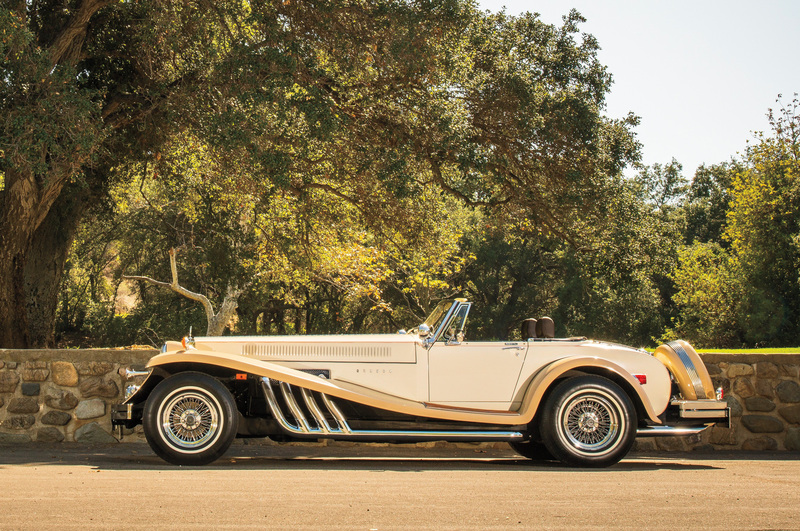 A 1974 Excalibur SS Phaeton, once Jackie Gleason’s car, brought $55,000 at Auctions America’s Fort Lauderdale sale in 2014. “Everything evolves,” says auctioneer Donnie Gould. “As you get older, your tastes adjust. 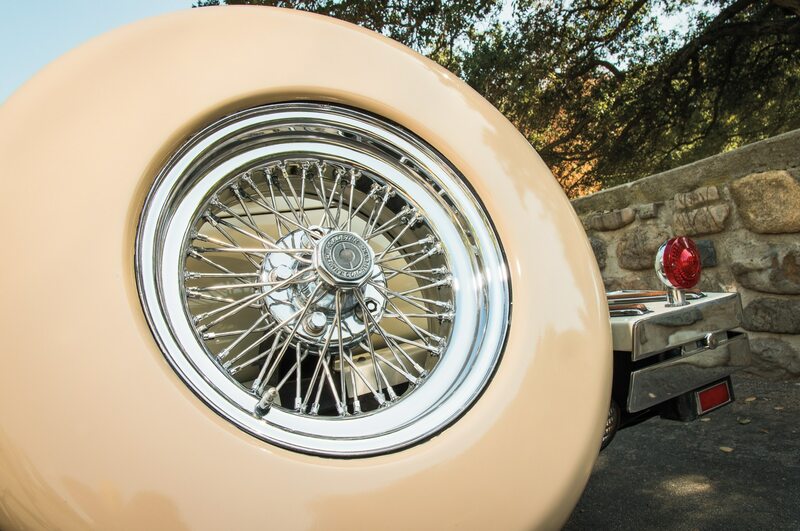 Even though you might not be attracted to that car now, in 20 years you may well be, and I believe there will be more and more people that would like to have them.” Are neoclassics the apogee of automotive design? Not now and probably not ever. But their often peculiar and extravagant eccentricities helped them stand out then, and they continue to stand out today, just like they did for the young man eating a sandwich outside a body shop in Southern California. A quick look at a few other coachbuiling companies that had their day in the sun before flaming out. Studebaker design consultant Brooks Stevens had a great idea for the 1964 auto show circuit: Put a Mercedes-Benz SSK replica body on a Studebaker Daytona convertible. One thing led to another—Studebaker was going bust—and Stevens and his sons ended up in the manufacturing business. 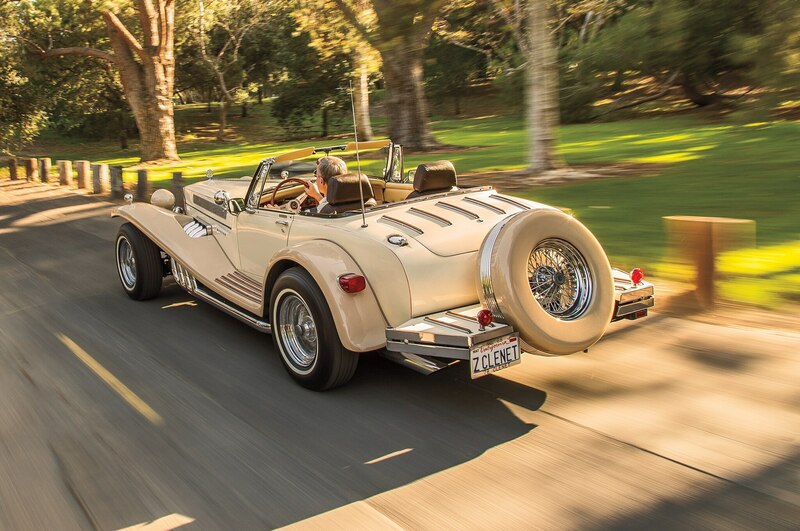 Fiberglass-bodied, Chevy-powered, and priced from $6,000, the Excalibur roadster opened the door for neo- classics. Phyllis Diller owned four Excaliburs. 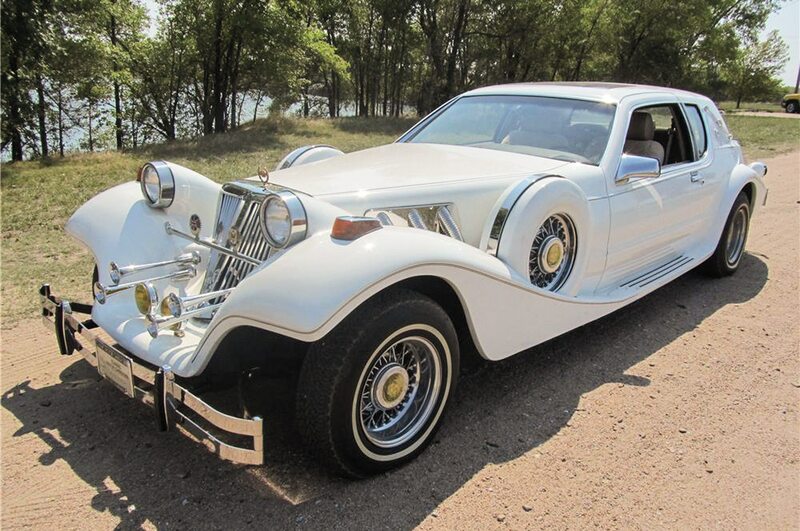 In the mid-1970s, Classic Motor Carriages billed itself as “Purveyors of fine Horseless Carriages to the Nobility and Gentry.” It made Bugatti and Mercedes replica bodies for Ford Pinto or VW Beetle chassis. Then ambition struck, and in 1982 it started producing the Classic Tiffany, a car similar to the Golden Spirit in most aspects. The Florida attorney general sued in 1994 after complaints about Classic Motors’ sales tactics, and the company shut down in 1999. 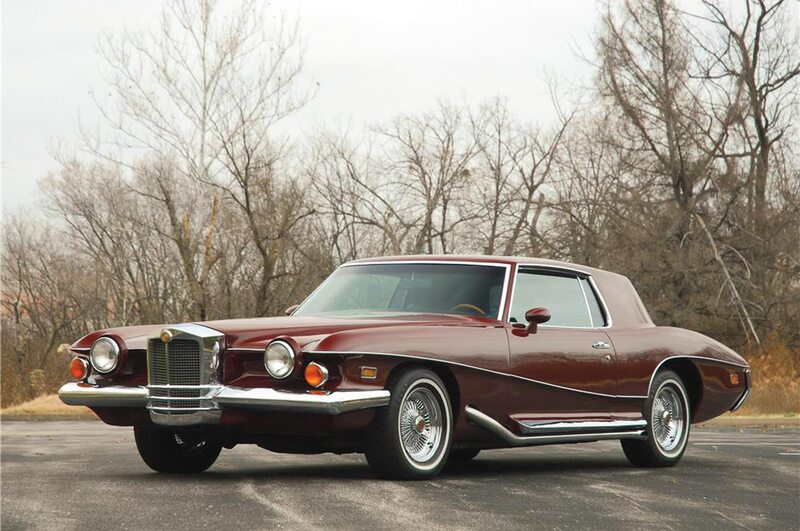 The Stutz Blackhawk, penned by noted auto designer Virgil Exner, used an extreme approach that accorded with the neoclassic movement, starting with the immodest array of headlamps and driving lamps. 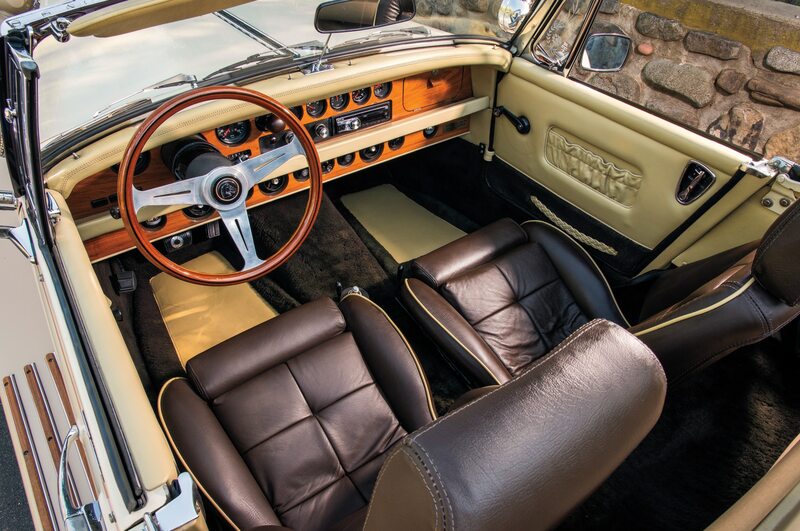 As the reincarnation of the Stutz of old, the Blackhawk offered Italian-built coachwork on a modern Pontiac chassis. Elvis Presley outdueled Frank Sinatra for example No. 1.